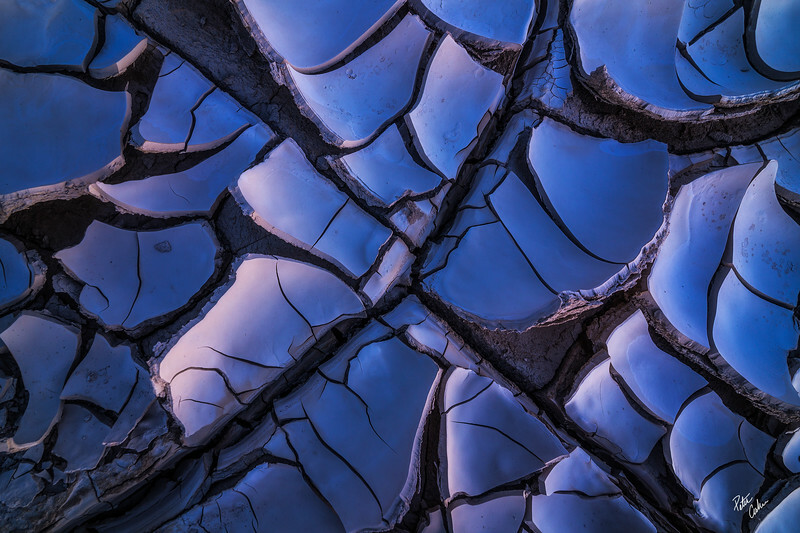 A collection of fine art nature and landscape photographs featuring the badlands of California's desert landscape. A multitude of colors and layers found within the sea of badlands around Font's Point in Anza Borrego State Park. 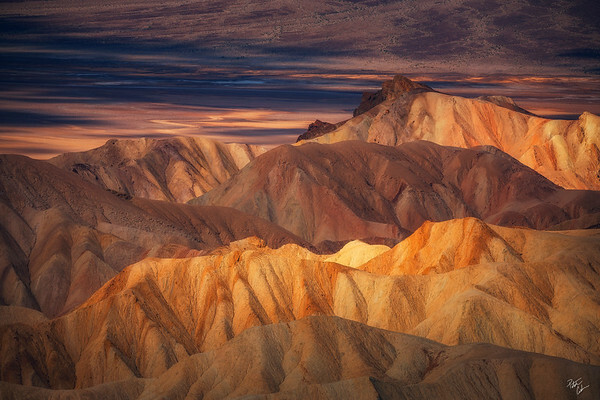 Soft light accentuates the colorful badlands of Anza Borrego State Park in California. The sun breaks through the clouds to illuminate layers of badlands as it reflects off the distant Salton Sea. Anza Borrego State Park, California. 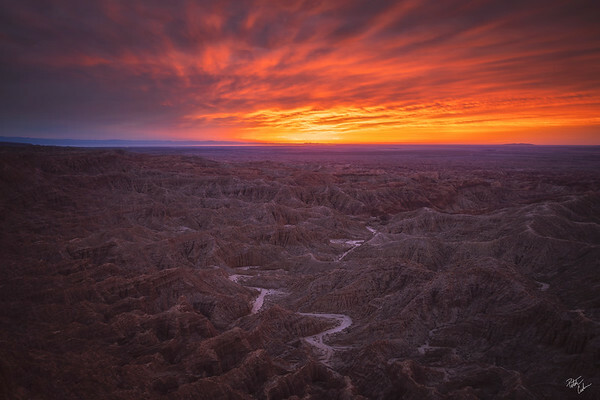 A fiery sunrise over the badlands of Font's Point in Anza Borrego State Park. In the distance, the sunrise reflects off a section of the Salton Sea. California. Multicolored mounds contrast with the dark washes under the glow of sunrise in Twenty Mule Team Canyon. Death Valley National Park. 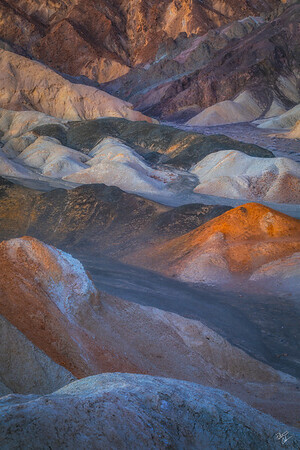 Pastel colors of pre sunrise light over Twenty Mule Team Canyon in Death Valley National Park. Golden dappled light spreads across the badlands and badwater basin area of Death Valley National Park. 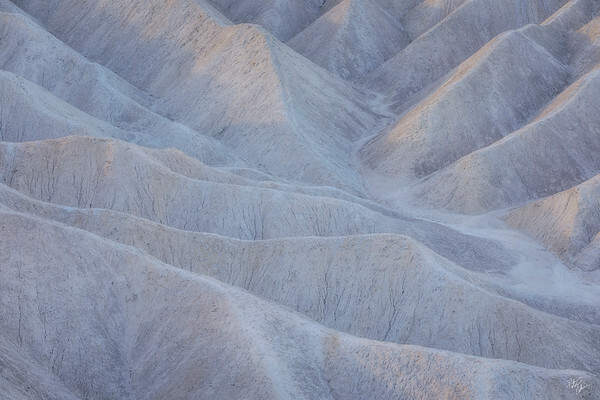 A portion of badlands with minerals containing light blue and green tones rise out of the peanut butter colored layers of badlands in Death Valley National Park. Soft diffused light over a section of light colored badlands at the edge of Zabriskie Point in Death Valley National Park. Dappled light begins to illuminate the Panamint mountain range as the layers of badlands catch the first rays of light on the ridges. Death Valley National Park. 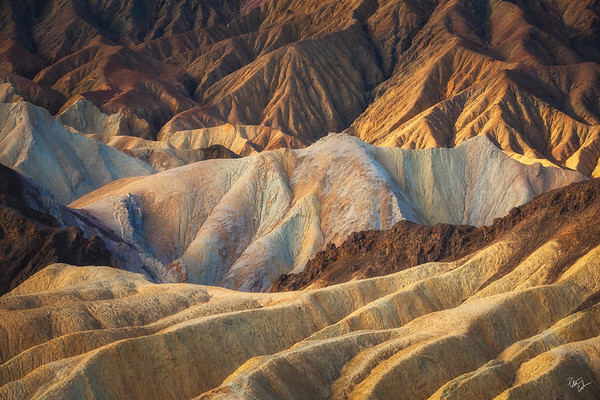 The colored layers and textures of a section of badlands within Zabriskie Point. Death Valley National Park.